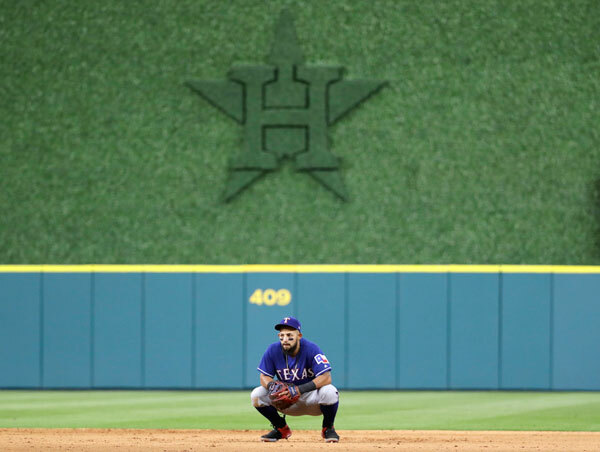 HOUSTON, Texas -- If Monday's series opener between the Houston Astros and Texas Rangers was any indication of things to come, the 18 games left of this in-state rivalry should be rather interesting. 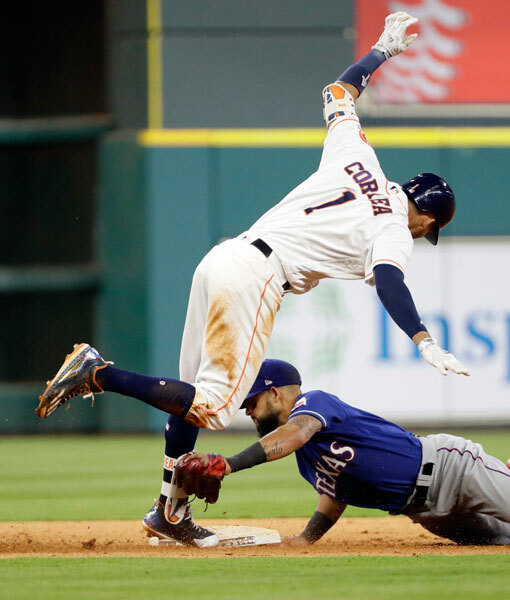 Jose Altuve, Carlos Correa and Yuli Gurriel each hit RBI doubles in a five-run seventh inning that lifted the Astros to a 6-2 win over the Rangers in a game that included a benches-clearing tussle. "You don't want anybody to get hurt, but you want high-emotion baseball," Houston manager A.J. Hinch said. "This is fun for us to play with a little bit of edge. We'll see them (Tuesday). We'll see them 18 more times. Obviously, it should be a fun summer." 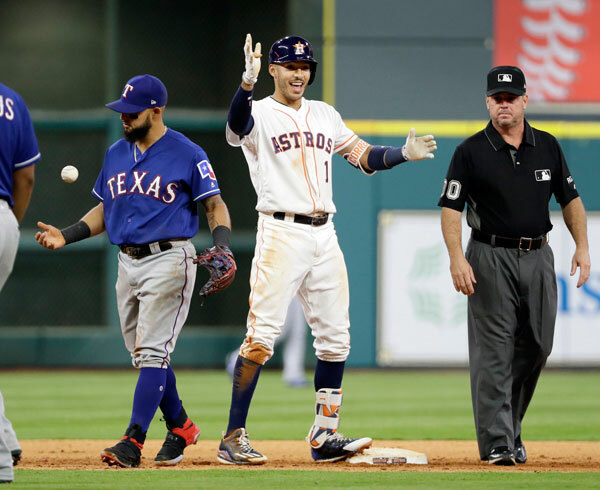 Houston trailed by 1 entering the seventh inning before George Springer tied it at 2 with a run-scoring single on a high chopper that bounced just over the head of Tony Barnette, who had just relieved starter Andrew Cashner (0-3), with no outs. Altuve's double sent home another run to put Houston on top. Correa followed with his double to center field to score two more, making it 5-2 and chasing Barnette. 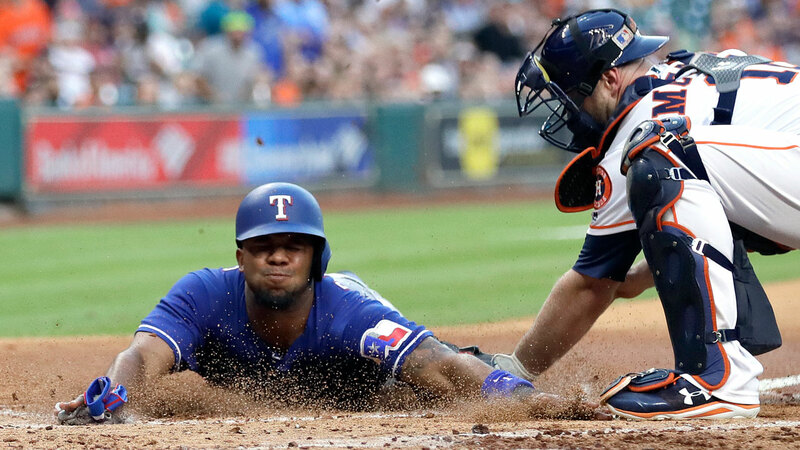 Gurriel's RBI double landed just out of reach of a diving Delino DeShields with two outs to wrap up Houston's scoring. Chris Devenski (2-1) struck out two in 1 2/3 scoreless innings for the win. Ken Giles pitched a scoreless ninth for his seventh save. 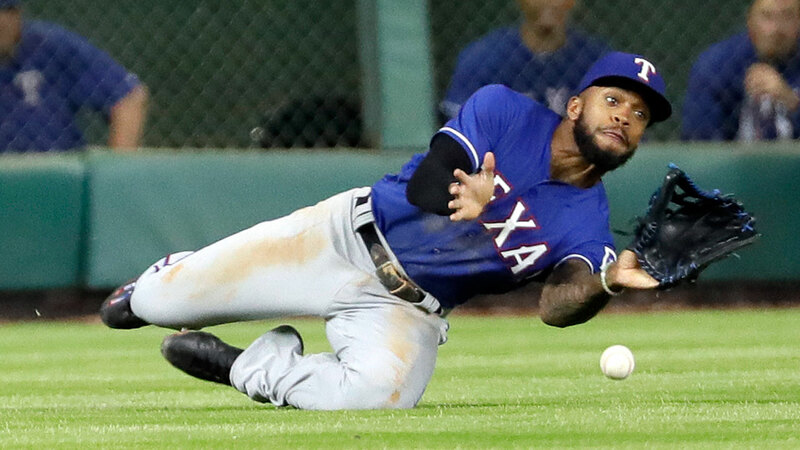 Mike Napoli broke out of a slump with two hits, including a solo homer that gave Texas a 2-1 lead in the fourth, and was at the heart of the incident that led to the benches clearing in the sixth inning. He had just one hit in his last 20 at-bats before a single in the second inning. 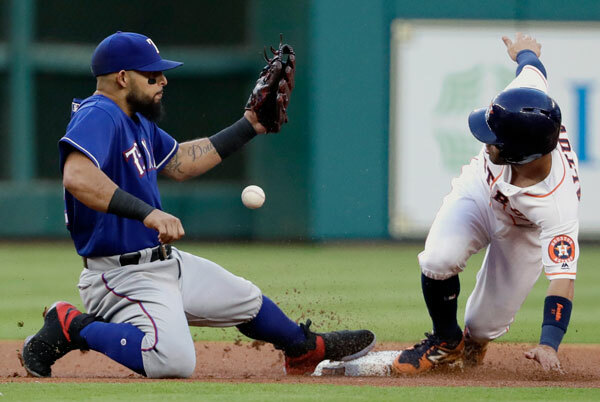 Cashner had already plunked both Altuve and Gurriel when Lance McCullers Jr. threw behind Napoli with two outs in the sixth. He took a couple of steps toward McCullers while yelling at him and McCullers did the same. Astros catcher Brian McCann quickly got in Napoli's face and, after a few seconds, players from both benches began spilling onto the field. Players from both teams did some pushing and shoving, and Springer held back McCullers as he continued to bark at Napoli. 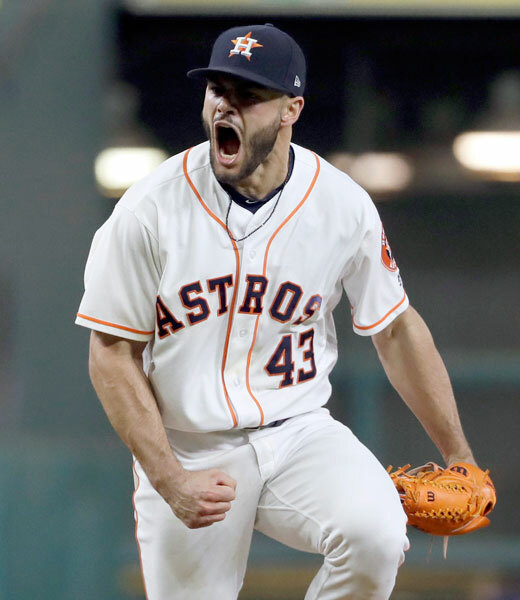 Order was restored after a couple of minutes and both teams received warnings, but no one was ejected before play resumed and McCullers struck out Napoli. McCullers denied intentionally throwing behind Napoli. "I was just trying to go in, it got away," McCullers said. "I've been in the game a long time," Napoli said. "I understand how things work. Two of their guys get hit, but all he has to do is put it in my hip and I run down to first base. No one likes 95 behind their back." 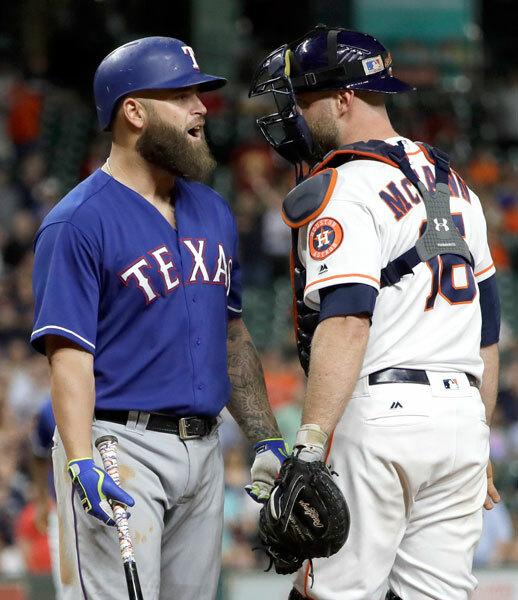 The bad blood between these in-state rivals was evident even before the first pitch Monday when the Rangers printed out a tweet by Houston third baseman Alex Bregman and posted it on a board in their clubhouse. The tweet was mocked not only for its content -- saying he wanted to beat the Rangers -- but also for the fact that Bregman misspelled the word "operation" by writing "opperation." 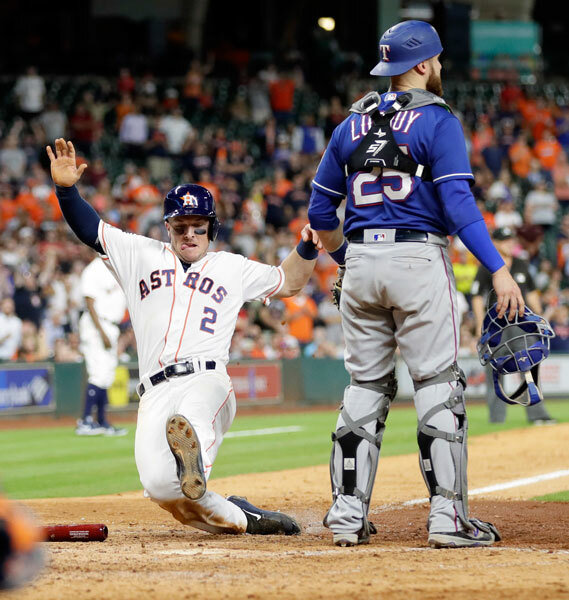 "I made a rookie mistake," Bregman said. "I shouldn't have tweeted that out. It was more of just trying to fire up our team and I shouldn't have put it on social media at all ... poorly worded. Obviously I misspelled a word, another rookie mistake there." Cashner allowed three hits and three runs -- two earned -- in six-plus innings to remain without victory since Sept. 7, 2016. 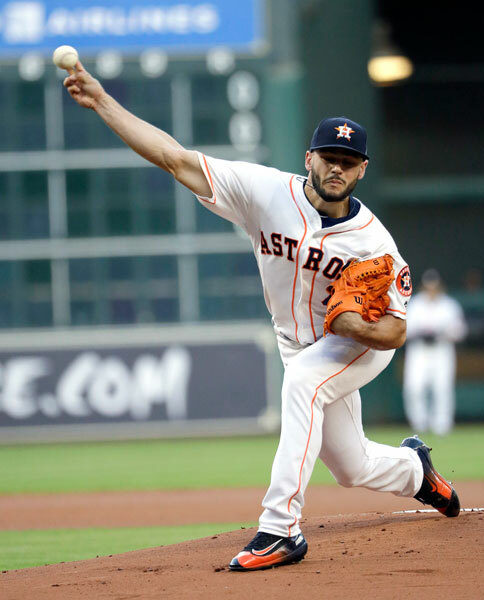 McCullers yielded six hits and two runs while tying a season high by fanning 10 to give him 46 strikeouts in six starts this season. Rangers: A.J. Griffin is expected to come off the disabled list to start on Thursday after recovering from gout in his left ankle. Yu Darvish was originally scheduled to start on Thursday, but the Rangers plan to push his start back to Friday to give him an extra day of rest after throwing 116 and 125 pitches in his last two starts. Astros: OF Jake Marisnick was activated from the disabled list before the game. Marisnick had been out since suffering a concussion on April 23. Napoli on his performance: "My timing was good (Monday). I'm going to build off it. Take some positives. Wish we could have come out on top. I felt a lot better...at the plate." Rangers: Cole Hamels is scheduled to start for Texas on Tuesday night. Hamels has pitched at least five innings and allowed three runs or less in each of his first five games. He got his second win this season by allowing seven hits and three runs in 6 2/3 innings in his last start against Minnesota. Astros: Mike Fiers will look for his first win as he starts on Tuesday night. Fiers is 0-1 with a 5.12 ERA in four starts and allowed five hits and two runs in 4 1/3 innings in his last start.